WINNERS ANNOUNCED! Countdown to Comic Con Giveaway: Smile! 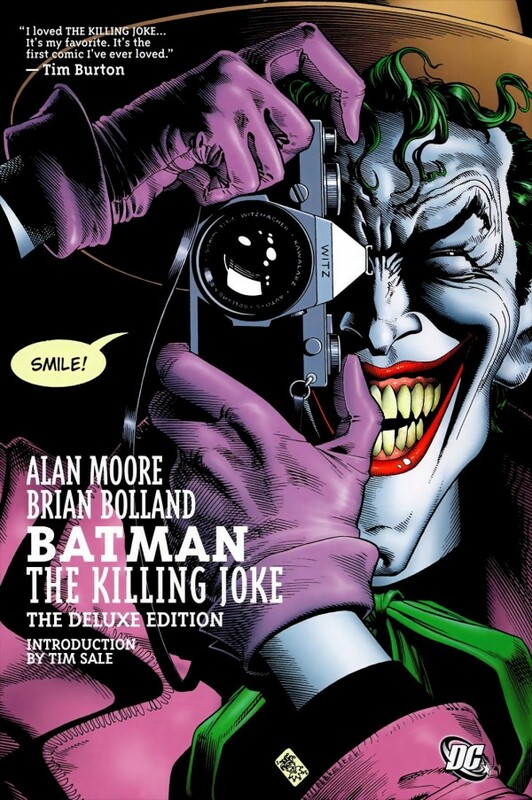 It’s Batman- The Killing Joke! And we have our winners! The winners, each winning a copy of Batman: The Killing Joke HC, are Tomas Pescado and Jim Hayes! Please shoot us a message on Facebook with your address so we can get your book shipped out to you! Thank you to everyone who entered across all of social media! Here we are, a week away from the San Diego Comic Con. At the massive con, a certain animated feature makes its premiere: DC Comic’s Batman- The Killing Joke. Since the classic graphic novel is becoming DC’s first R-Rated animated feature, why not have a giveaway in honor of the source material? What is YOUR favorite Batman story and why? For me, personally, I have to go with Frank Miller’s The Dark Knight Returns. But what’s yours? Hush? Long Halloween? Knightfall? Court of Owls? Robot Bunny Looking Commissioner Gordon Batman? Let us know! We will tally up all of the comments and draw two names at random THIS SUNDAY. Contest ends at 5:00 p.m. Pacific Standard Time on Sunday. Contest is open to US residents only.